Still wondering what led the forex market to twerk it like Miley lately? Big Pippin‘s pretty sure that it has something to do with One Direction going on an “extended hiatus” but I’ve dug a little deeper and summed up the factors that caused those crazy moves. 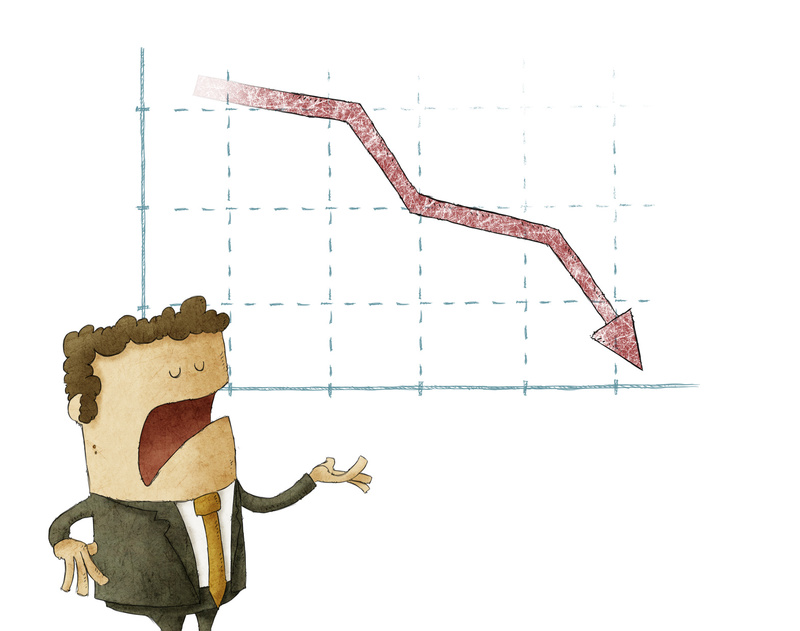 Last Friday, the Dow Jones industrial average tumbled by more than 500 points while the S&P 500 index recorded its worst daily percentage drop in four years. London’s FTSE capped off its biggest weekly loss this year while major European stock indices chalked up close to double-digit declines. Emerging markets and Asian equities seemed to suffer the brunt of the bloodbath, with Japan’s Nikkei index crashing to a five-month low and MSCI’s emerging market index reaching its lowest level since 2011. Some market analysts say that these big drops are nothing but much-needed major corrections, but others warned that these could mark the start of a longer-term bear market. To put things in perspective, the latest U.S. stock selloff is comparable to the weekly declines seen during the 2008-2009 global recession but doesn’t quite hold a candle to the 22.5% carnage in the Dow back in the Black Monday of October 1987. Perhaps the biggest culprit in the global market downturn these days is China, which is still struggling to shore up its equities, export activity, and overall economic performance. Recall that the Chinese government and the central bank have taken turns responding to desperate times and calling for desperate measures, ranging from stock market stimulus to yuan devaluation, in order to keep domestic demand afloat. Despite all that, China has printed one dismal economic report after another, with Friday’s Caixin flash manufacturing PMI release putting the nail in the coffin thanks to its decline from 47.8 to 47.1 in August. That marks its sixth month below the 50.0 mark and its lowest reading since March 2009. Since China is the world’s second largest economy and is the top buyer of products from most developed nations, what happens in China doesn’t stay in China. Policymakers in Japan have already expressed their concerns about a spillover effect to Asia and the rest of the world, as Japanese Economics Minister Akira Amari urged the Chinese government to step up their efforts in keeping the economic mess contained. As though the concerns in China aren’t bad enough, Asia’s got another problem brewing due to the ongoing conflict between North and South Korea. As it turns out, Kim Jong-un and his buddies aren’t too pleased with the South’s decision to resume their loudspeaker broadcasts against the North, which were apparently prompted by Jong-un’s refusal to accept responsibility for the landmine explosions at the border. Long story short, shots were fired and the idea of an all-out war just got real. Keep in mind that geopolitical tension also has an impact on forex movements, as this typically ushers in a risk-off market environment. In addition, this could dampen trade activity in the region and drag Asian equities much lower, forcing traders to flee to safe-haven assets and currencies. Care to guess how oil reacted to the market slump? With another selloff, of course! WTI crude oil slipped below the $40/barrel psychological floor, setting the stage for a potential free fall in the coming days. Heck, U.S. oil prices have been falling for six consecutive weeks and are currently treading around levels not seen since ’09. On the other hand, gold has been seeing better days, as the precious metal made a strong rebound when the FOMC minutes suggested that the Fed might delay the liftoff. With the safe-haven dollar losing some of its shine, gold is looking like a better alternative for investors to hold on to these days. Forex junkies who think that the market moves have just been blown out of proportion are quick to blame the low liquidity during the summer months as the main factor that spurred volatility. After all, with fewer market participants making trades, even smaller-than-usual positions could push prices around. With that, notions of market fear and panic can quickly spread among traders and lead to magnified moves once investors rush to liquidate their positions. There aren’t a lot of top-tier economic catalysts lined up for this week, which suggests that market sentiment could continue to be a force to reckon with in the next few days. Do you think we’ll see another round of wild forex price action?